I had been looking forward to shooting this show for some time. 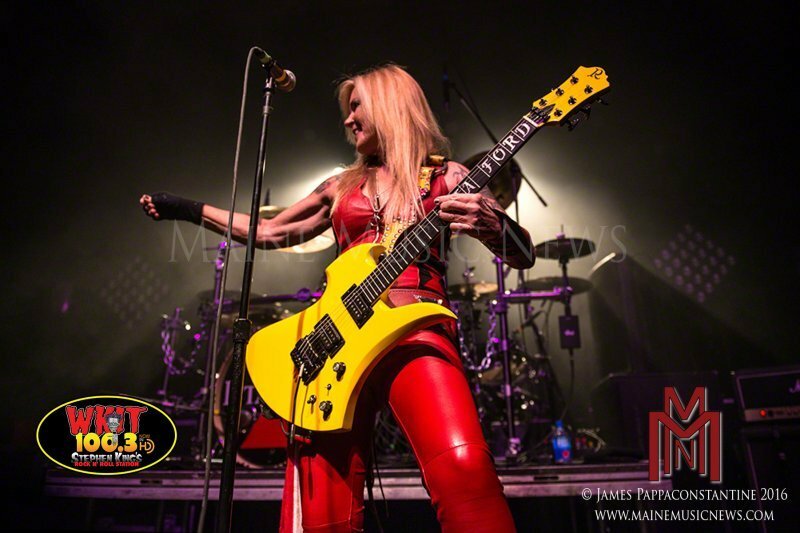 Having shot Halestorm once before, I knew they were always a great shoot and a lot of fun to watch, but most of all, I have to admit I was looking forward to shooting Lita Ford again. I have seen Lita several times before and have photographed her three times. 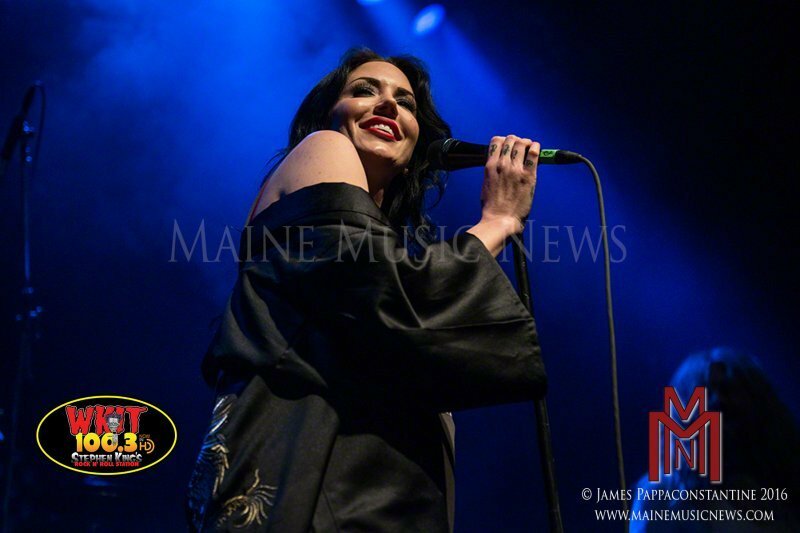 Not to brag, but I even captured an image during her performance in Bangor, Maine, that she felt would make a good foldout poster in her latest CD release. I showed up early to see if I could get her to sign said poster for me. Arriving early I pulled into a parking spot right next to the tour buses where I sat and waited until I saw someone from the tour. Shortly after that, I met Lita and she was kind enough to sign my work. Opening the show were Dorothy, a band from Los Angeles, California, whose sound is similar to another band I had just been turned on to: Rival Sons. The sound is a bit bluesy, a bit rock n roll, much like the bands who were coming out in the 70’s. Their performance was nice, and their live show reminded me a bit of The Pretty Reckless, except singer, Dorothy Martin, is much more personable than the frontwoman for TPR. Dorothy was fun to shoot and gave the audience and photographers great lines and seemed to know her angles. Dorothy’s guitar and bass player didn’t have great lighting, stuck in the wings since the center stage light only reached so far, but they did a great job at keeping up the energy of the show. Visually, however, both paled in comparison to drummer, Zac Morris, who was a blast to photo. He really built the energy on which all the others laid their foundation. I have to say I truly enjoyed this band’s opening set and hope to see them back this way again. 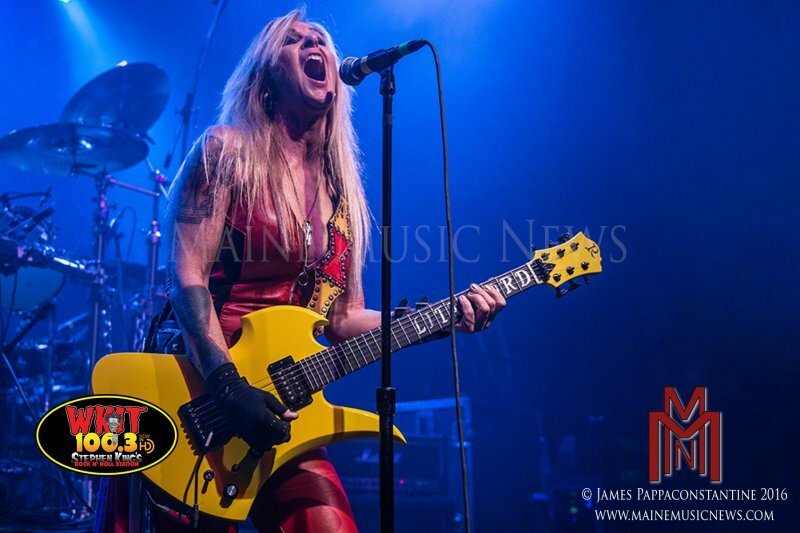 Next up was Lita Ford. Lita is an exRunaway who has gone on to build quite a following of fans. The first time I saw Lita was on her second album tour in 1984, and she rocked my world. Today, at nearly 60 years old, she is still doing it, and as well as ever. 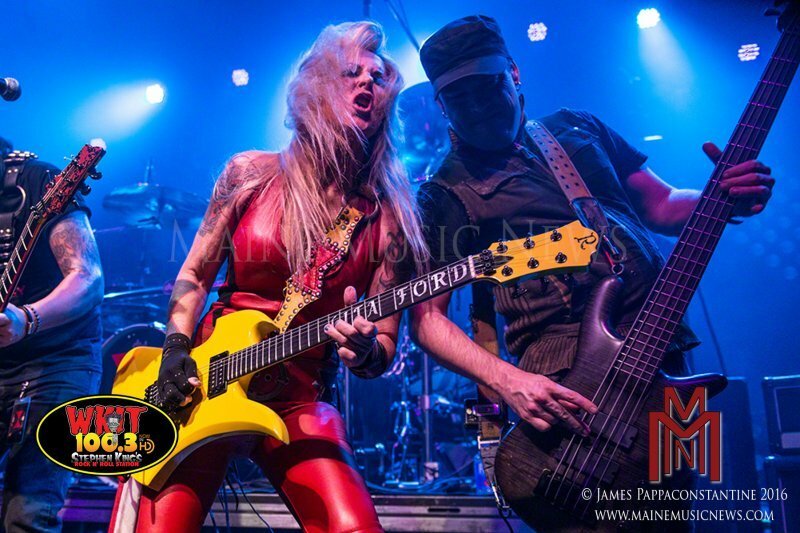 Lita’s band has changed faces over the years although for the last few tours she has included bassist Marty O’Brien who does a great job at holding it all together. Lita’s set was strong, and I was happy to hear her play a song she wrote with former boyfriend and Motley Crue bassist Nikki Sixx entitled, “In and Out of Love.” This song was not listed on the set list and was not played the night before, however it did replace another one of my favorite Lita songs, “Back to the Cave.” During her last song of the set, she was joined by the great Gary Hoey who played on and produced her 2012 album, Living Like A Runaway. (I wish I was able to shoot that song.) I would also like to add that Lita’s guitar player, Patrick Kennison, not only did an exceptional job on guitar but really does a great Ozzy during “Close My Eyes Forever.” And of course, Bobby Rock is back on the drums, the rage in the cage. 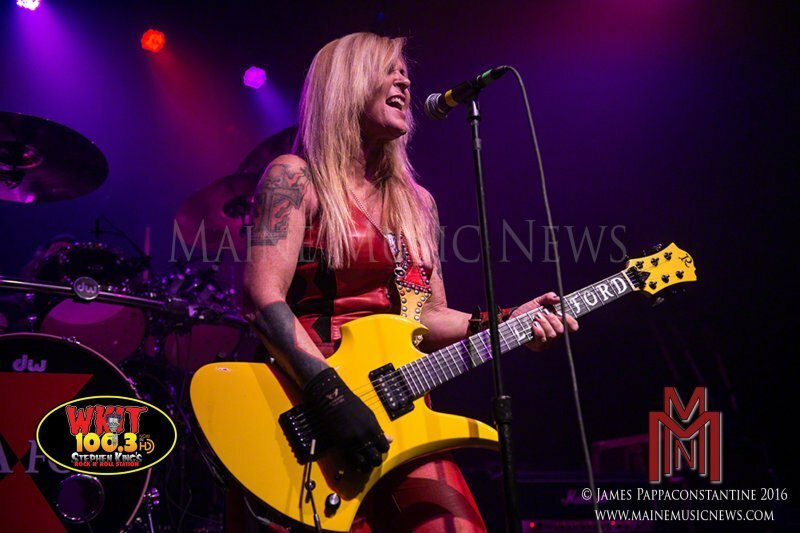 Lita has played BC Rich guitars since they came out in the late 70’s, and her new bright yellow Mockingbird looked as good as it sounded, really going well with her red leather outfit. 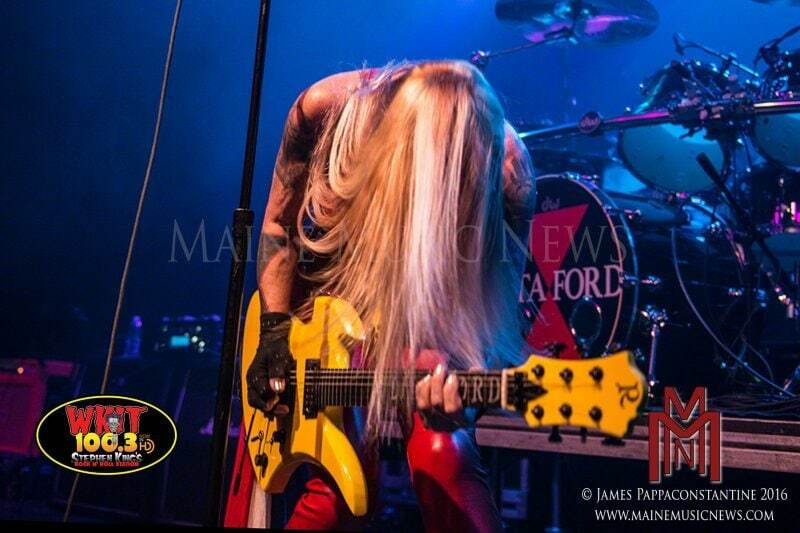 Lita’s playing has never sounded better, I am so glad she is back on stage after a brief hiatus. Closing the show were headliners Halestorm. Lzzy Hale, singer, guitarist and front woman, really carries this show along with her brother, Arejay, on drums. The duo are a powerhouse together and along with guitarist, Joe Hottinger, and bassist, Josh Smith, the band has really built a solid following for themselves. 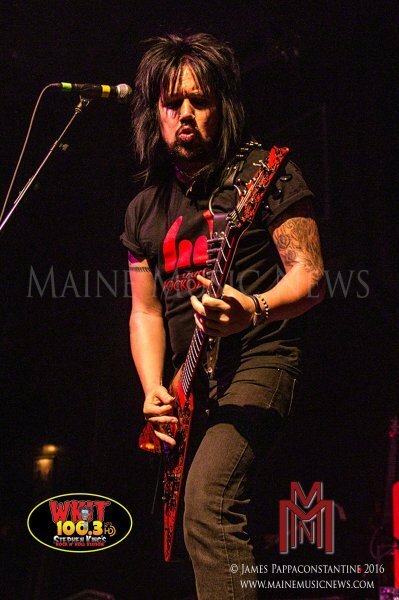 The crowd, who appeared to be of a mixed bag of ages and backgrounds, were primarily there to see them over the first two openers, and when Halestorm hit the stage, they got the loudest cheers from the fans. Lzzy and company play the new metal sound but with just enough pop that it makes it appealing to the masses. My favorite moment in their set was hearing them do the first song I had ever heard from them, “I Get Off On You.” Something about that song even after all the airplay it got (and that typically turns me off a song) really gets my blood going and had me screaming along to the vocals – along with everyone else in the joint. Their show tonight was great, and I was so glad to have been there.